FOUNTAIN GREEN, UTAH - JUL 2016: Rural community parade antique tractors farm equipment. Fourth of July, American celebration for freedom rural town. Parade reflects community values family morals. hd00:11Just awesome action stunt on a motorcycle. The rider starts the race on the bike in a circle at the motor show. Very cool and cheerful. hd00:30MONTICELLO, UTAAH - AUG 2013: Antique old farm tractors rural community parade. 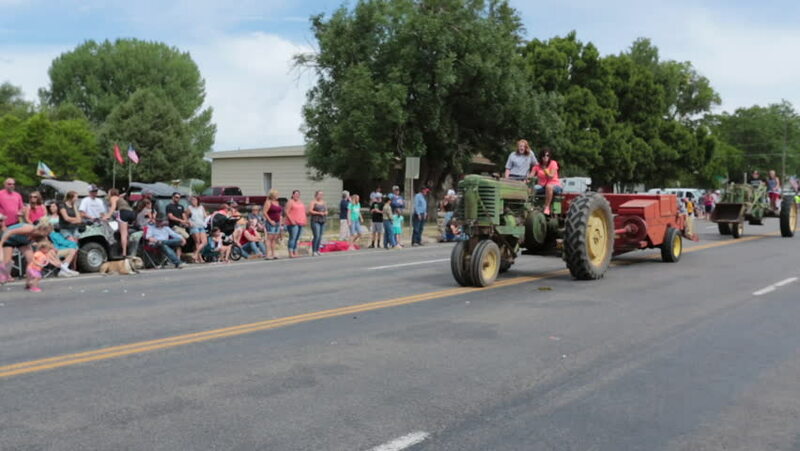 Antique farm tractor in annual rural town celebration parade. Historic implements shown proudly as restored vehicles. hd00:14NHA TRANG, VIETNAM - NOVEMBER, 17, 2016: A lot of mopeds. Traffic at rush hour.